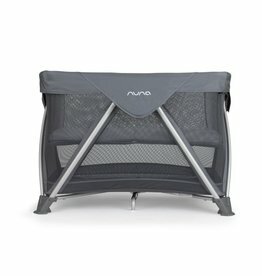 Easy to set up Open the carry bag, lift out the travel crib and set it up in one simple movement. There are no loose parts to attach. 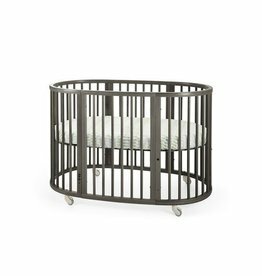 The legs unfold automatically and the mattress has a built-in base plate that keeps the crib standing firmly on the floor. Soft, sturdy mattress included The soft mattress makes the travel crib a comfy and cozy place for your baby to sleep at home or away. 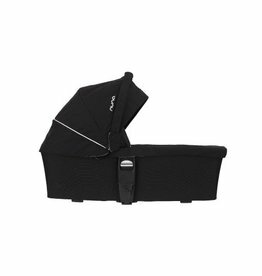 Easy to bring along The travel crib weighs only 13 lbs/6 kg, making it lightweight and portable. When you’re not using it, simply fold it down and store it in the practical carry bag. 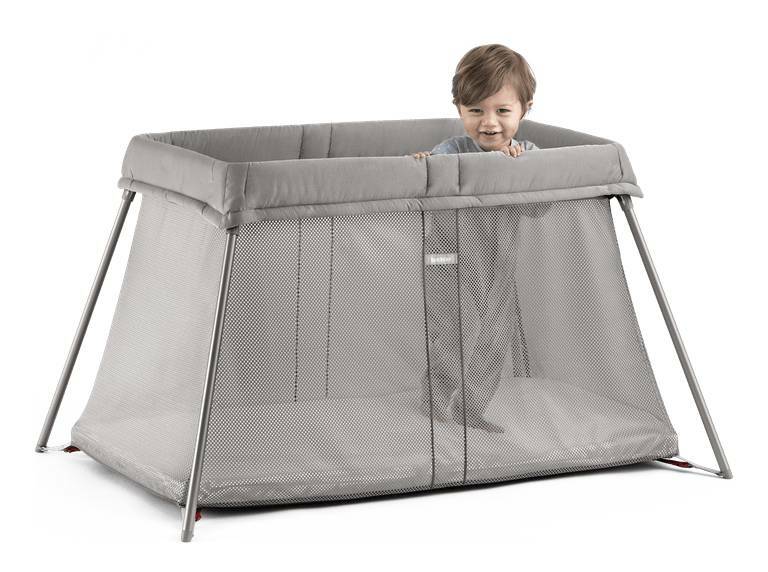 Airy design for good supervision The sides of the travel crib are made from soft, airy mesh. 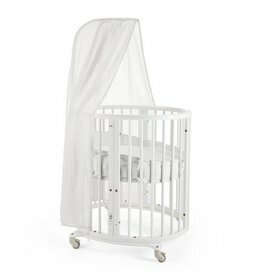 This allows your child to breathe freely even if their face gets close to the side of the crib. It lets you keep an eye on your child, and your child can also look out. 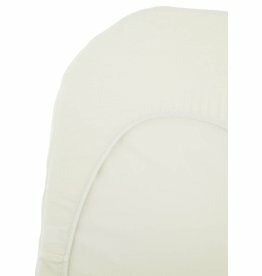 Removable and washable fabrics The mattress cover and travel crib fabric are easy to remove and machine washable. Child-friendly material The travel crib fabric is free from harmful substances and approved according to Oeko-Tex Standard 100, Class 1 for baby products. Age For ages newborn to approximately 3, or until your child can climb out of the travel crib. There is no upper weight limit for using the travel crib. 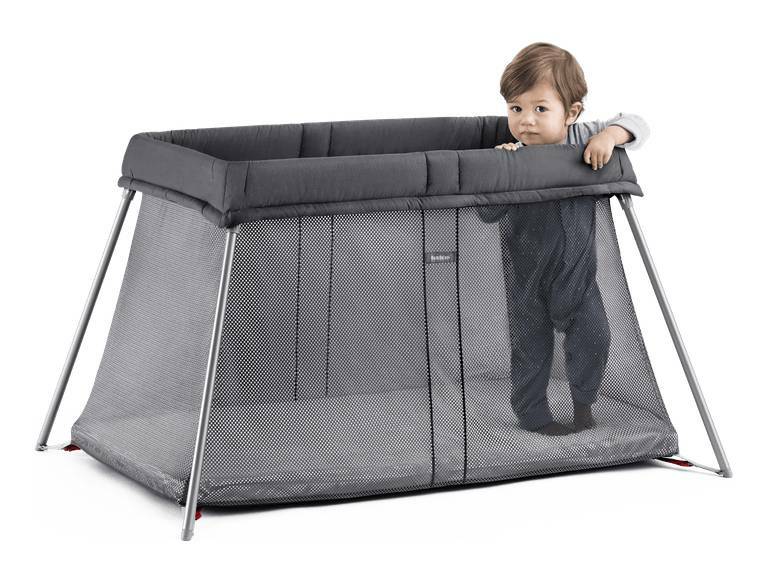 Tested and safe The Travel Crib complies with the EN 716 safety standard for folding cribs and national fire safety requirements. Washing instructions The fabric is easy to remove and is machine washable (warm/40˚C). Do not tumble dry. The mattress cover is also machine washable (hot/60˚C). Start with the Sleepi Mini or jump right into this grow-with-me crib-to-toddler bed! Keep them close. Keep them safe. 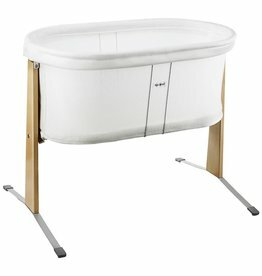 In a mini travel cot that doubles as a bedside crib. Sleep or play, DockATot wins the day! Original size designed for babies birth-8 months.